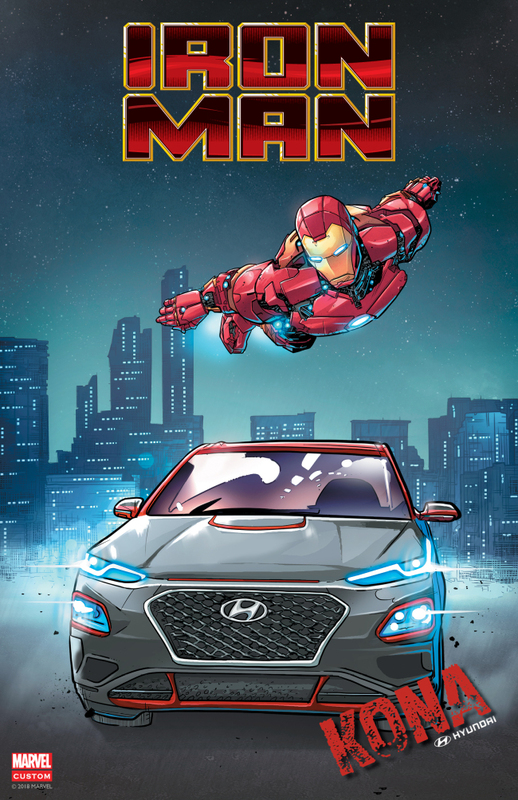 Hyundai Motor, South Korea’s leading automaker, unveiled the world’s first soon-to-be mass produced Marvel character-inspired vehicle, the Kona Iron Man edition, in partnership with the New York-based entertainment company, the company said Thursday. Through its partnership with Marvel signed in 2015, Hyundai aims to promote its brand as fun and exciting particularly among younger drivers. The Iron Man edition of Hyundai’s first small sport utility vehicle Kona was introduced at the opening ceremony of Comic-Con 2018, which is underway in San Diego, California. “The Kona Iron Man edition was inspired by Iron Man’s cutting-edge suit to emphasize the safety and strength of the small SUV. The vehicle is also armed with Hyundai Smart Sense and a slew of up-to-date safety systems,” according to Hyundai. For scarcity and buzz of the Iron Man edition, Hyundai will run a one-time order worldwide at the beginning of 2019. The matte metallic gray chosen as the exterior color of the special edition matches Iron Man’s first suit in 1963’s “Tales of Suspense,” and the red lines contouring the front light-emitting diode, side mirror and roof were inspired by Iron Man’s latest armor. Stepping inside the vehicle, the interior is a mix of red and gray, and Iron Man’s mask and logo have been applied to the seats along with Iron Man edition-exclusive graphics for the head-up display, the company explained. Hyundai’s Veloster hatchback, the top-selling midsize SUV Sante Fe and Kona small SUV also featured in Marvel’s latest movie, “Ant-Man and the Wasp”.